There is a new wave of innovative processes and solutions that improve product production throughput, and enable once-impossible product creation. Advances such as model-based design (MBD), additive manufacturing (3D printing), pervasive engineering simulation, and robotics are making it possible to streamline the product development process, reduce cost of production, and accelerate time to market. MBD has had a profound impact on manufacturing, moving design from the 2D to 3D realm, greatly increasing the speed of getting from concept to finished goods. With the available 3D modeling tools, engineers can design not only parts, but whole systems in software, including the ability to virtually simulate, test, and inspect a system mechanically. While software has been able to tie manufacturing closer to design, as well as speed up the physical design process, one area that has been more difficult to optimize is analysis. Today’s practical reality is that 3D analysis is expensive in terms of schedule and required specialized personnel. Existing engineering simulation tools are powerful, yet complex. A complex simulation can take from days to months to complete, forcing a lengthened design cycle. Moreover, running a simulation requires a special expertise that may not be accessible to all design teams. As a result, engineers are forced into using rules of thumb, reusing proven design aspects in an attempt to reduce the amount of analysis before prototyping. The net result is a reduced number of possible solutions that can be investigated during the initial design phase, increasing market risk, and reducing the chances for design optimization. One company may have cracked the code, making 3D model simulation more accessible. ANSYS has announced the preview release of breakthrough technology – ANSYS Discovery Live. The goal of Discovery Live is to place the power of simulation in the hands of every engineer, delivering a virtual prototyping environment on every desk. Discovery Live enables analysis-led design, allowing engineers to perform interactive physical analysis at near real time. ANSYS is developing an early design feedback mechanism (ANSYS Discovery Live) that will drastically change how design is done; however, the detailed prototyping and design validation phase is still a necessary step. It is in this phase that Distene, a Spatial partner, provides solutions. The company’s meshing technology bridges the gap between CAD and simulation/analysis. In the past, end users have resorted to iterative meshing, analysis, and design processes that can take weeks to complete. With this mesh technology powering Spatial’s 3D Precise Mesh, the concept to production process is accelerated, improving the overall quality of the resulting design. The next phase for the product is actually manufacturing the part. Another Spatial partner, ModuleWorks, delivers CAD/CAM software development toolkits for machining and tool simulation, enabling 3D printing OEMs and ISVs to create a single, comprehensive application, covering all the additive manufacturing software tasks. Manufacturing processes are also changing, impacting design, as well as the actual manufacturing of a part. Enter additive manufacturing (3D printing), a technology which is transforming how parts are conceived, designed, and manufactured. Multi-part models (a.k.a. assemblies) can now be designed and printed as a single part, and parts which could only be conceived of in software can now be produced. Yes, the advances in software, materials, and hardware expand usage of 3D printing technology, transforming what and how parts are produced. 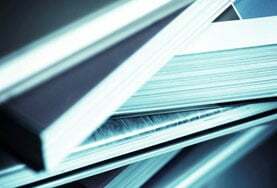 However, the true advances are realized in the use of those parts, be it weight reduction or improved fluid flow. This revolution in the process from product concept to finished goods is powered by creative talents whose work enables end users to solve complex problems and develop once-unthinkable solutions. 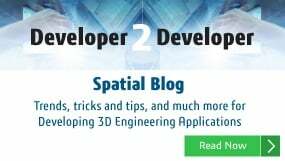 Spatial’s SDKs, in conjunction with partner technologies, help lay a foundation on which to build and transform product development, supporting these innovators to deliver next-generation solutions that address real-world needs. What challenge are you working to overcome? 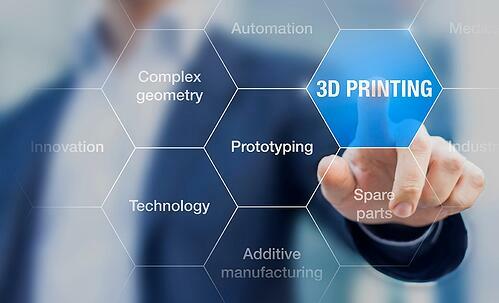 How are you contributing to accelerating 3D innovation? The Spatial team and our partners are here to help you realize your ideas, and we look forward to seeing what’s next as design and manufacturing continue to move closer together.